Gently peel lash off eyelid, starting at the outer corner. Clean lashband by peeling off lash adhesive with your fingers. Make-up remover or baby oil may be used to remove residual adhesive on eyelids. 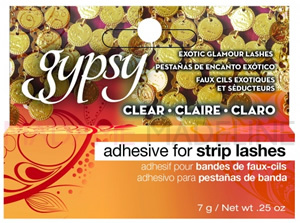 Pair With: Ardell False Eyelashes, and Gypsy Lashes. Ingredients: Water (Aqua), Rubber Latex, Cellulose Gum, Sodium Dodecylbenzenesulfonate, Ammonium Hydroxide, Fragrance (Perfume), Coumarin, Geraniol, Limonene, Linalool, Formaldehyde. Caution: Keep away from children. Use only as directed. Do NOT use if you are alergic to rubber latex. Avoid getting into eyes. If contact occurs, wash immediately with lukewarm water. Product Care Tip: Make sure to keep your Gypsy adhesive AWAY from heat and direct sun light, and keep the cap on tight during storage. 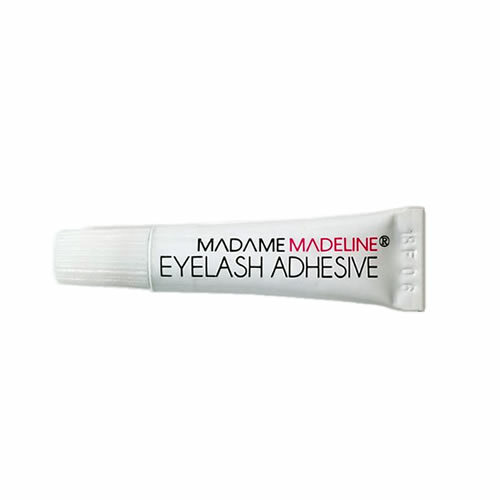 Great deal on this adhesive that holds my lashes really well.